Christmas music boxes and Christmas jewellery box presents from Shop 4 Music Boxes. 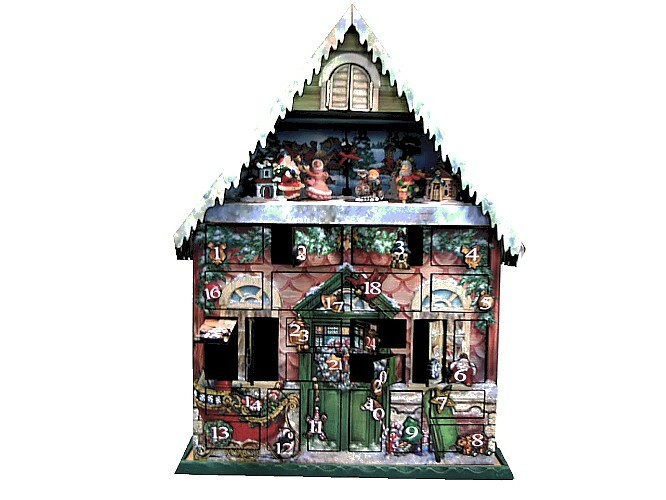 A beautiful musical wooden advent house with moving figures. 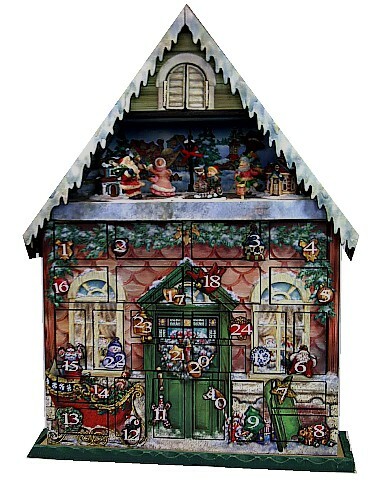 This musical wooden advent house has four figures inside the attic, Santa Claus, a girl and two boys. The mechanism is operated by three AAA type batteries (not supplied). Behind each door is a small compartment for you to hide a small gift ie. chocolate. When you open each door the music plays and the figures move. In addition, the miniature houses and the lamps light up and a little boy with his Christmas stocking appears in the top shuttered window. A very unusual item which will enhance your home during the festive season. The music playing whilst the figures are moving is 'We Wish You A Merry Christmas'. PLEASE NOTE THAT DUE TO THE WEIGHT OF THIS ITEM AND THE FRAGILE COMPONENTS, WE ARE UNABLE TO DESPATCH THIS ITEM OUTSIDE OF THE UK. IMPORTANT NOTICE - This is a collectable music box item, so children should be supervised if handling them. They are not suitable for very young children or babies due to small parts.